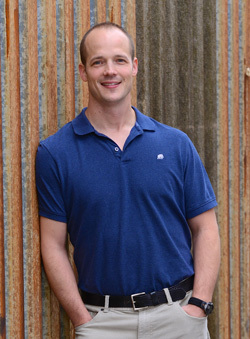 Kevin graduated from the University of Western Ontario with a Bachelors of Science in Physical Therapy in 2003 after previously completing his Human Kinetics degree at UBC. Since becoming a registered physiotherapist, Kevin has also completed his diploma in manipulative therapy, the highest level of orthopaedic certification in physiotherapy (FCAMT). He also completed his training in Gunn IMS through the faculty of medicine at UBC in October of 2013, becoming a certified IMS practitioner. Kevin has worked with people and athletes of all kinds. His accomplishments in sports therapy include being a member of the World Junior Hockey Championships medical team, physiotherapist for the under 21 National Field Hockey team in, working with various members of the Vancouver Giants, many years of experience working with National Team and BC Team Judo athletes, and has volunteered and worked with many local community teams and high school sports teams throughout the years. Kevin lives in North Delta with his wife and two boys, and believes in establishing a strong sense of community in Delta. He enjoys an active lifestyle with his family, and has been a long time member of the Steveston Judo Club (30 years) during which time he competed at the National level of judo with two silver medal finishes at the National Championships. In the summer, Kevin enjoys cycling and has participated in the Gran Fondo Whistler ride as well as the Ride to Conquer Cancer to Seattle. His greatest joy is watching his boys Adam & Ryan participate in their soccer, judo and other activities.